Solar eclipses are, if nothing else, otherworldly to encounter. Or least that's what I've heard — I've never actually, uh, seen one in person. But for such a dramatic event, I didn't know what a solar eclipse means beyond the basic science until very recently. Long story short: Stuff's going to get weird, particularly because the upcoming eclipse is an annular solar eclipse. First, the basics: A solar eclipse occurs when the moon passes between the sun and the Earth. For me, at least, it's a reminder that we are very small, that the world is very big, and that the Earth is a part of an entire universe. It screws with your perspective. There are four types of solar eclipses: Total, partial, annular and hybrid. The upcoming eclipse on Sept. 1, 2016 is set to be an annular eclipse, which can only occur when the moon is at apogee (meaning that it's at the farthest point away from the Earth in its rotation). 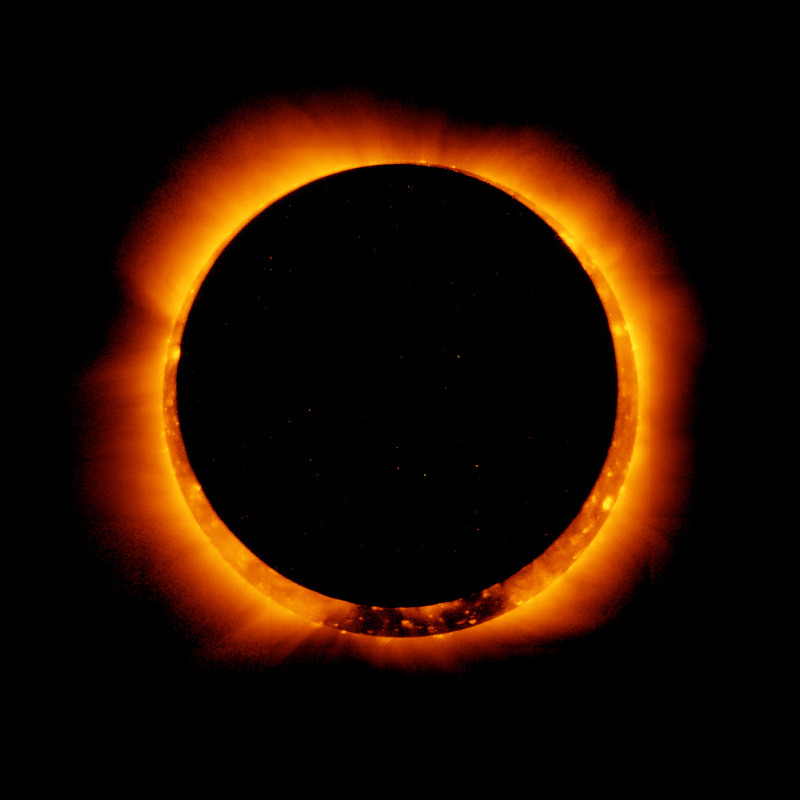 The moon's diameter appears smaller than the sun, resulting in a floating "ring of fire" situation. Very dramatic. And if you live in Madagascar or Central Africa, where the annular solar eclipse will be most prominent, I hope you take a million photos, because the eclipse will not really be visible in the United States and I'm furious about it. Eclipses occur throughout the world, on average, four times a year. In 2016, there will be two just in September: Sept. 1 and Sept. 16, which will be a lunar eclipse. In addition, 2016 has already seen a total solar eclipse on March 9 and a penumbral lunar eclipse on March 23. None of these have been particularly visible in the United States — in fact, there hasn't been a visible North American solar eclipse since around the time of World War I, which makes next year's impending total solar eclipse a particularly big deal. It's already being touted as "The Great American Eclipse," because of course it is. Perhaps unsurprisingly, solar eclipses are also a huge occasion within the astrology world. According to Maggy Pachay, owner of Virgo Rising astrology services, solar eclipses "are usually considered indicators of turmoil and upset, especially on the parts of the Earth where the eclipse is actually visible. ... They are generally considered harbingers of trouble." More specifically, the way in an eclipse may affect you depends on your specific chart. "Where an eclipse falls in one's horoscope chart will indicate which areas of the person's life might feel the effects," says Pachay. For example, "if the eclipse falls in one's 7th house of marriage/partnerships, s/he might expect some surprising changes in that part of his/her life." Similarly, Susan Miller of Astrology Zone notes that eclipses force major shifts in our lives. "Once we go through an eclipse, we can never go back to the former situation again, for the universe wants us to make progress, not go back to good old days," she writes. "That option is taken away, forever. The only way with an eclipse is forward." Despite the fact that the Sept. 1 solar eclipse won't be visible for most of us, its effects can still be felt. Get ready for some major shake-ups, babes. Change is afoot.